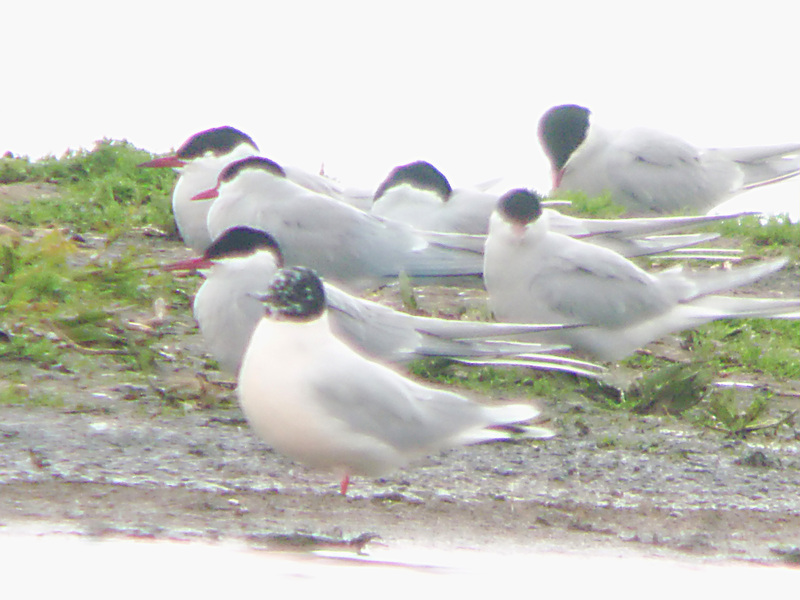 Today has seen a big overland movement of Arctic Terns, with impressive counts at a number of inland localities. While some chose to linger at certain sites, many pushed straight through as they headed north toward their breeding grounds. 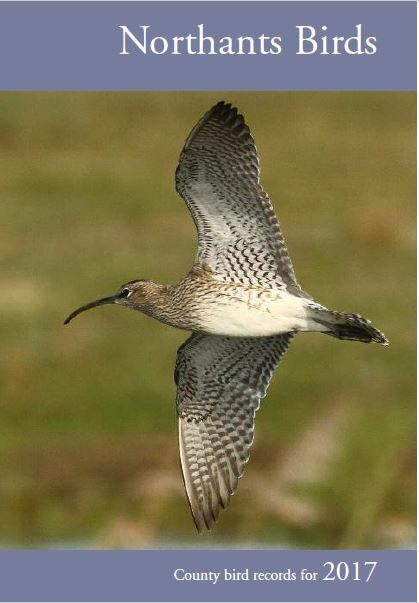 Significant totals were logged at Rutland Water and Cropston Reservoir (both Leicestershire) with 70 and 60+ respectively, Buckden Gravel Pits, Cambridgeshire, where 61 were counted moving along the Ouse valley and 39 visited Paxton Pits (also Cambridgeshire) while Broom, Bedfordshire logged 57 and Wilstone Reservoir, Hertfordshire 30+. 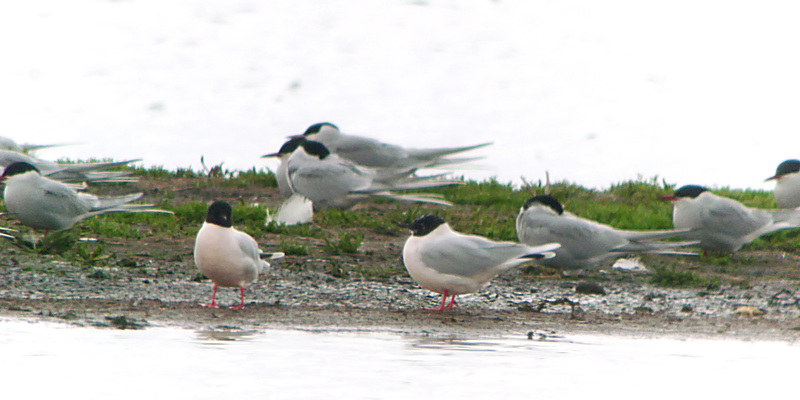 The largest flock, however, was in our own county and recorded by Dave Holden at Thrapston Gravel Pits’ Town Lake, where he estimated 115 to have been present at 11 o’clock this morning. Smaller numbers locally were approximately 30 at Pitsford Reservoir at 8 o’clock with (a further?) 12 there early afternoon and 44 there late afternoon, 26 through east at Summer Leys early morning with a further 33 roosting on the island in nearby Mary’s Lake early afternoon, 25 at Daventry Country Park this morning, 5 at Hollowell Reservoir also this morning with 36 there at 6 o’clock this evening, 16 at Stanwick GP and 3 at Clifford Hill Gravel Pits this evening. Those on the island in Mary’s Lake were accompanied by 2 smart adult Little Gulls, both of which showed a nice pink flush to their underparts – a feature often shown by this species.